Strive to sandwich sick visits with wellness visits and medical progress exams to keep the appointment schedule running smoothly. As you plow through the spring and gear up for what promises to be a busy summer season, maximizing efficiency and minimizing the craziness of the appointment schedule should be at the top of your mind. This year I am determined to coach up the reception team to passionately and proactively manage the calendar to the benefit of clients, patients, the team and the business. Put the following metrics and tips to use in your practice to optimize caseload productivity. Are your appointment hours reflective of the demand? Do too many days feel uncomfortably chaotic or unsettlingly slow? Calculate your appointment fill rate as the first-line objective measure of where you stand. The appointment fill rate is equal to the number of appointments seen divided by the number of available appointments. While published industry benchmarks for this metric are hard to come by, an 85 percent average fill rate (plus or minus 5 percentage points) is an optimal figure among experts. Difficulty in providing appropriate care to sick patients. New and existing clients being unwilling to book non-urgent appointments well in advance. Alternatively, fill rates dropping below 80 percent could hurt profits, limit employee wages and create a demoralized, sluggish team. Leading practice management software systems struggle to automate the figure accurately, but a manual daily count might be time well spent when you consider adjusting your hospital’s staffing and hours. If you use a flex scheduling model — appointments of 10, 20, 30 or 40 minutes, depending on the type — you should consider measuring the fill rate by the hour instead of by the appointment. Take note of various drop-off and worked-in exams to appropriately account for additional casework. Map the fill rates by doctor, day, week and month to detect patterns and adjust staffing. Given the target fill rate, reserve 15 to 20 percent of available appointments for same-day urgent care visits. If certain days are more popular or generate more sick patients — where I work it’s Monday — consider additional urgent blocks or limiting prebooked wellness appointments. Strategically stagger these blocks among your doctors to optimize usage and appointment flow. Our first urgent care block of the day is at least 90 minutes after we open to allow time for these clients to call in. Our last block starts at least 60 minutes — ideally up to two hours — before we close so that heavy diagnostic workups don’t keep the team at work late. If a sick patient has not claimed an urgent care block within 90 minutes of the scheduled time, the block is removed and can be filled with a same-day wellness appointment or other non-urgent matter. Strive to sandwich sick visits with wellness visits and medical progress exams to keep the appointment schedule running smoothly. Similarly, in a multidoctor practice, spread labor and mind-intensive cases among the available veterinarians to ensure a balanced workload. Color-coding by appointment type helps receptionists recognize the visit type at a glance when a client is calling to schedule. While I will argue that flex scheduling with predetermined urgent-care blocks is the most appropriate model for veterinary medicine, doing so can create inefficient gaps in the appointment book if they are not proactively managed by the customer service team. Instruct receptionists to first offer appointment options that best meet the schedule’s needs as opposed to giving clients free reign to choose a time. Encourage receptionists to think critically about the appointment schedule and empower them to make adjustments that benefit the business and ultimately their paycheck. Our hospital’s recent addition of real-time online scheduling has been popular among clients, particularly with new millennial pet owners and when email or text reminders generate wellness appointments. With regard to schedule efficiency, we benefit from the after-hours ability of clients to reserve early, empty appointment slots that might otherwise go unfilled. While automated online scheduling cannot be as effectively managed compared with a well-trained receptionist, the benefits outweigh any inefficiencies or inaccuracies that sometimes result. After four months of usage, online scheduling represents 11 percent of our doctor appointment bookings. Consider diving deeper to identify inefficiencies, logistical bottlenecks and opportunities to leverage the support team. Over the past several years, our hospital has identified ways to free up doctor appointment hours without sacrificing patient and client care and, as a result, increase the number of invoices generated per hour by nearly 40 percent. Double-booking surgical follow-up exams instead of blocking dedicated time on the doctor’s schedule. Giving veterinary nurse appointments their own column to avoid visual clutter on the doctor’s schedule. Working with the team to improve the documenting of medical history to minimize extended appointments. Implementing simple follow-up visits — most often for ear rechecks — that are scheduled for half the amount of time. 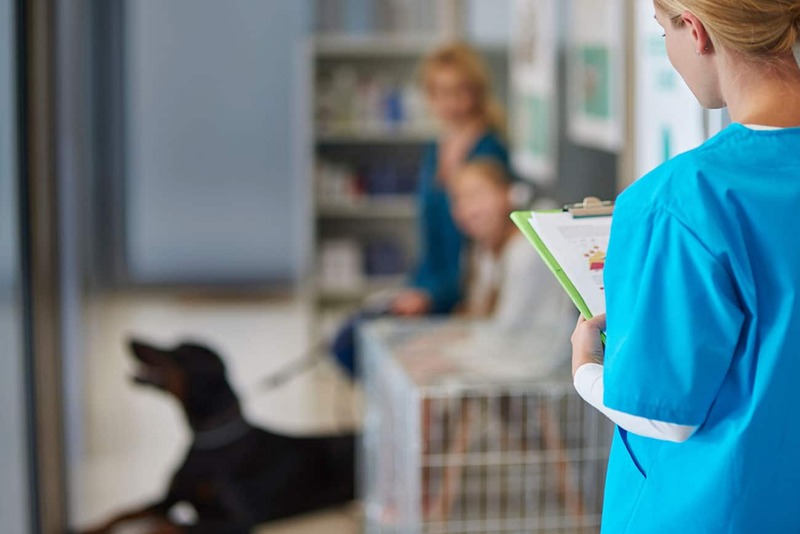 These patients are brought directly to the back of the hospital, and the veterinary nurse does the majority of the communication with the owner. Adding computerized shortcuts and automation to minimize a doctor’s involvement with writing SOAPs, approving medication refills and ordering lab tests. Take an objective look at your practice’s appointment data and find opportunities to smooth the daily schedule, ultimately striving for a steady appointment fill rate. Ask your team for input, and test solutions that challenge the status quo. Survey clients about what would motivate them to schedule and keep appointments. Perhaps it’s extended hours, lunchtime appointments, drop-off capability, forward-booking or online booking. Once you have dialed in an effective strategy, keep tabs on predictive monthly key performance indicators and make adjustments ahead of any major changes in demand. Cheers to a steady summer and to all your critical cases calling in at times other than 5 p.m. Friday!